Thanks to the keen eye of Pixar Post Forum user, PIX-R.113, our readers were made aware that the Disney Channel was advertising a sneak peek of Inside Out this evening at 7:30 PM. We anticipated that the sneak peek would be the television broadcast of the second trailer (more details can be found here, or you can watch the video below), but were happy to get a brief glimpse at some extra animation. The brief toolkit features Joy sneaking up on Fear and frightening him, sending him into an arm-flailing run! The animation of Fear, although brief, really excites us to see more from this movie. We know we're going to absolutely love the more comedic movement of these characters - and fear is certainly going to make us laugh with his over-exaggerated movements. Also, I sure hope we eventually get to see Bill Hader (the voice of Fear) recording his sessions for the movie. His vocal work must have been extremely physical with a character like Fear who is seemingly always "on edge". Check out the toolkit animation of Joy and Fear above and watch the trailer which aired after the short clip below. What are your thoughts of the brief clip? 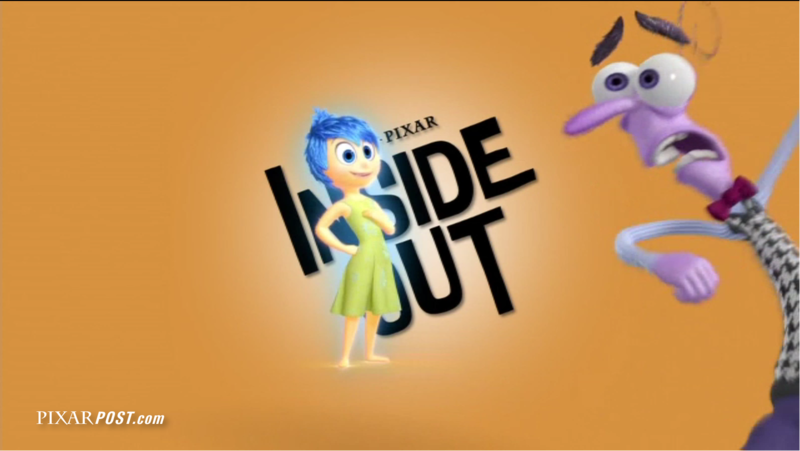 Chat about it on the Pixar Post Forum and be sure to follow along for more great Pixar news.